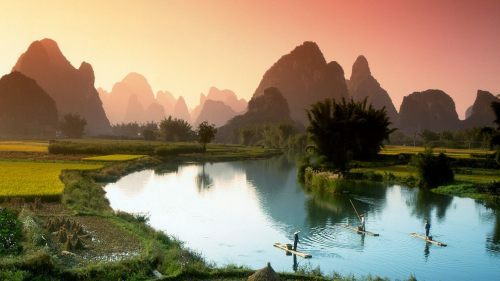 China Eastern Airlines has dropped the price of their flights from Toronto to a large variety of different airports around China down to $693 CAD roundtrip including taxes. Note: Look for a date combination on Google Flights that gives a price of around $716 CAD. It will be slightly cheaper when you try the same dates on one of the booking sites listed above. When you get to Google Flights, you can click on the departure date box to bring up the calendar view. Note: It seems that different sites are showing different destinations for the cheaper price, so you may want to try searching a few different sites. For these flights, I've generally had the best luck with finding the cheap price on FlightHub. 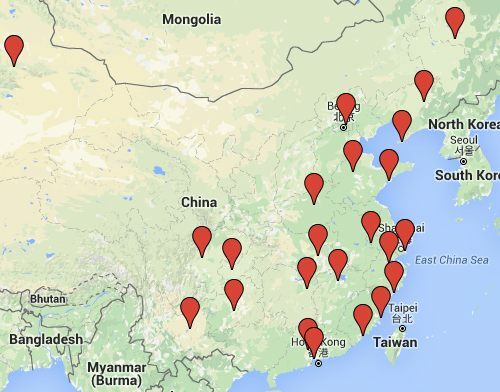 Although, sometimes the cheap price is only found on other sites, depending on the dates and destination involved. 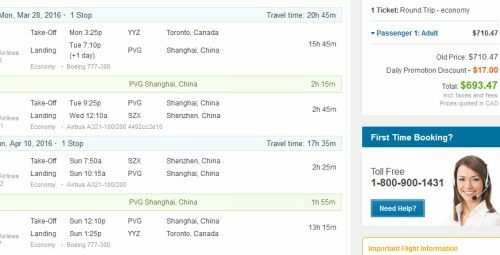 toronto, yyz, flight deals, asia, beijing, pek, china eastern airlines, szx, guangzhou, can, dalian, dlc, fuzhou, foc, chengdu, ctu, harbin, hrb, kunming, shenzen, tna, jinan, tao, qingdao, ckg, chongqing, xmn, xiamen, eastern asia, zhengzhou, cgo, changsha, csx, khn, nanchang, mkg, kwe, guiyang, nkg, nanjing, wnz, wenzhou, wuh and wuhan.